Spring is always a busy time for us at Maluco Security Group because in addition to our regular year-round security projects we take on many other seasonal ones as well. 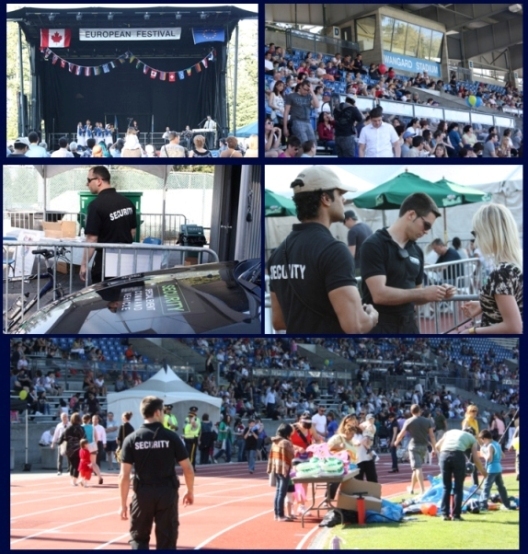 In May 2012, Maluco Security Group had the privilege of providing event security for the 15th annual European Festival, held at the Swanguard Stadium in Burnaby. This was no small task as the festival is host to over 10,000 patrons every year as well as dozens of vendors and cultural booths. Included in the program was a large beer garden and live music that ran late into the night. Regardless, our staff ensured that everything ran smoothly and the event ended without any major incidents.